LightCastle Partners and SACO enterprise in association with ACDI/VOCA successfully completed the Demo Day of the first batch of Women Agri Entrepreneurs. Under Unnoty; a business accelerator programme of LightCastle Partners, a total of 14 participants presented their business model canvas. 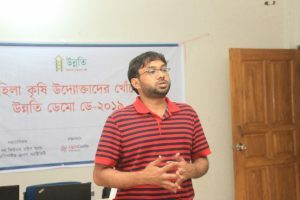 The event took place in RDF Tower, Barguna, from 24-25 March 2019. The participants presented their business model and current financial status in front of potential investors and guests. They gave details about their capital needs and future plans of business expansion. The practice session was held on 24 March, where the participants developed their business model canvas and pitched in front of the facilitators of LightCastle Partners. Each participant was personally assisted by the facilitators to create their own business model. A review session was followed in both the morning and afternoon session to summarise and review the learning material. This helped the participants immensely to hone on their learnings and improve their business model canvas. Each participant was given two opportunities to present their business model as practice, the participants were scrutinized by the facilitators to make their business model as perfect as possible. 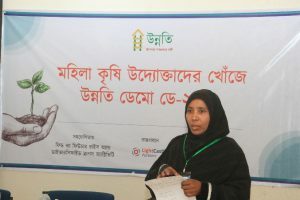 Powerpoint presentations were made for each of the participants by the facilitators to aid them during their presentation. Each participant was graded separately and given feedback on their performance and scope of improvement. On 25 March the Demo day was held. Each of the participants presented their business model canvas in front of the invited guests and facilitators. Each of them were allotted a time of 15 minutes with a Q&A session at the end to justify and reason their claims. 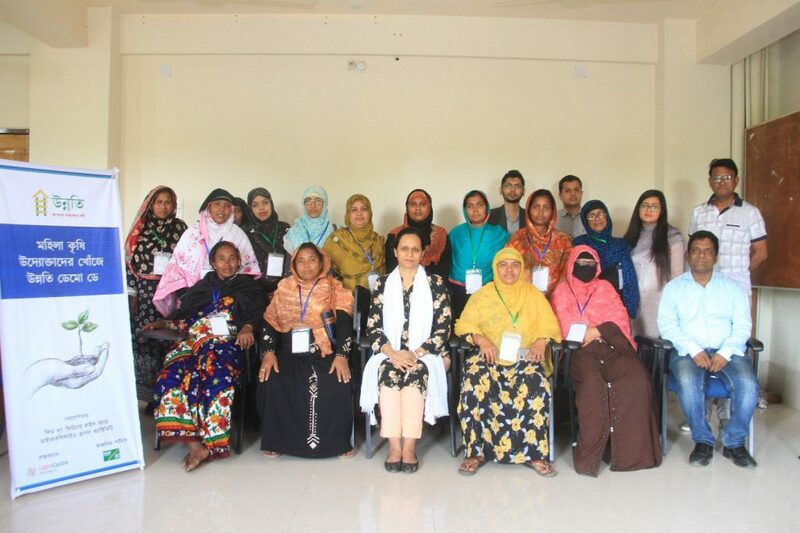 The event was graced by Ms. Bidowra Tahmin Khan, Team Leader, Support Market systems and social inclusion, ACDI/VOCA; Ms. Afifa Afrin, Gender Specialist, ACDI/VOCA; Mr. Md Amin-Ur Rashid, Senior Principal Officer & Manager, Islami Bank Bangladesh; Mr. Muhammad Mizanur Rahman, Junior Officer, First Security Islami Bank; Dr. Benazir Ahmed, Veterinary Surgeon of Barguna District; and two wholesale traders of rice and pulses Mr. Mowlana Golam Kabir proprietor of M/s Munshi Traders; Mr. Khobir Mia proprietor of M/s Mitu Traders. 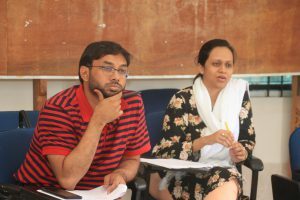 Participants were judged by a panel board consisting of Ms. Bidowra Tahmin Khan and Mr. Ivdad Ahmed Khan Mojlish, MD, LightCastle Partners; they evaluated the participants and marked them accordingly. The program ended with the closing ceremony where concluding speech were made by the guests, facilitators and participants.